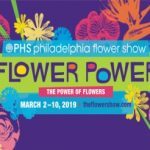 Immerse yourself in the power of flowers at the 2019 Philadelphia Flower Show March 2-10, when the Pennsylvania Convention Center is transformed into a floral wonderland for the country’s largest horticultural event! Every year thousands of gardening enthusiasts converge on the center to be inspired by stunning displays created by floral designers from around the world. We can take any size group! We have more than 200 vehicles including sedans, SUVs, vans, Van Terras, minibuses and coach buses – view them all on our online showroom! Once you have an idea of how people are going, visit our Virtual Showroom to determine which vehicle best fits your needs. Get an idea of pricing by visiting our online Rates page – please note that prices listed are base costs, for an exact quote click on the button below. For the best deal, gather a group of at least 25 friends or family so you all can take advantage of group rates ($28 for regular adult tickets vs $34 for group tickets). You can have everyone split the cost of the bus, making it a cost-effective way to enjoy the show with your group. The base fare per person for a 25 passenger minibus would be about $66 – for an exact cost, click below for a quote from one of our sales representatives!